Christina Lewis is a Senior Project Manager at 270 Strategies and one of the firm's leading digital strategists. 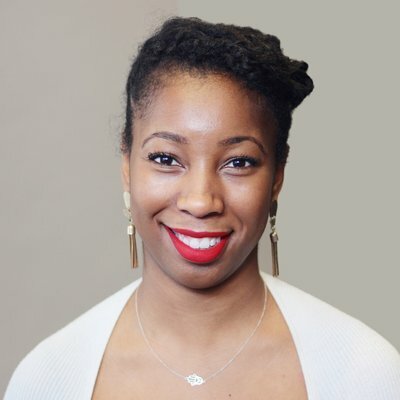 Since joining the firm in 2015, she's advised leading tech companies, non-profits, issue-based advocacy initiatives, and electoral campaigns globally including the ACLU, Afropunk, the Black Economic Alliance, BlackPAC, FAMM, iVote, the Leadership Conference on Civil Rights and the United Way. During the 2018 midterm election cycle she oversaw an organizing program for the ACLU contributing to the passage of key ballot initiatives and winning electoral campaigns in Arizona, Florida, Kansas, Michigan, and Nevada. Christina currently runs 270’s social justice vertical – leading initiatives around the 2020 census, economic security, criminal justice reform, gender equity, and voting reform. Her expertise is in strategic planning, training and development, and content strategy with a focus on content & messaging, paid media, email marketing, SMS, and reporting and analytics. She’s developed curricula and facilitated interactive trainings on leadership development, management, and digital & grassroots organizing. Including serving as the on the ground department lead for programs in Europe and Asia. Most notably piloting a global community leadership program for one of the world’s largest social media companies. Prior to joining 270, she worked in media strategy at ID Media, an Interpublic Group agency, working on paid media campaigns for Fortune 500 B2B, retail, tech, and telecom companies. In 2012, she worked in media tracking for the Democratic National Committee supporting President Obama's re-election campaign where she was responsible for crafting competitive analysis reports for the campaign’s leadership that tracked paid media spend, polling, field, and focus group data. Priding herself on her rural roots, Christina hails from the small town of Forsyth, IL. She earned her B.A. from DePaul University and studied Political Communication at Georgetown University. She is a member of Alpha Kappa Alpha Sorority, and has studied ballet, jazz, and modern dance for over 25 years. In her free time you’ll find her taking classes at various dance and yoga studios throughout Chicago. Christina currently serves as an advisor for Rosa Pac and The Arena.